This ornament is special because my stepson made it when he was little. 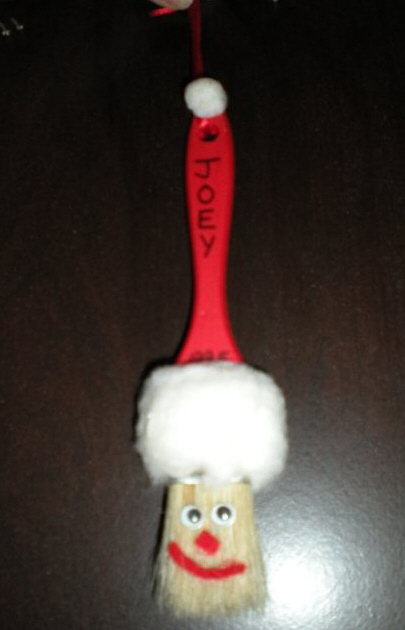 The handle of the paintbrush was painted red, a small white ball attached to the end of handle with glue. A white cotton ball above the bristles, and google eyes and craft nose and mouth attached to the bristles. Then his name and the year were added with a black permanent marker. And a red string to hang it from the tree.